EXCLUSIVE AT NET-A-PORTER.COM. 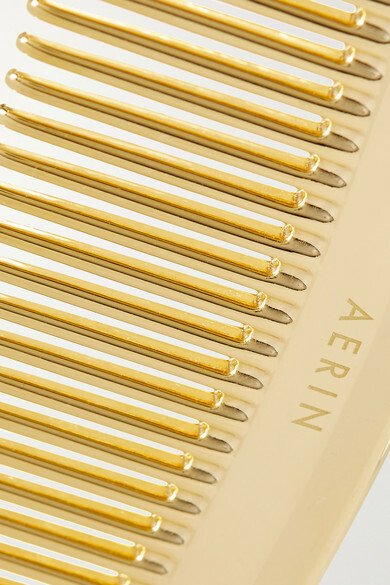 Inspired by classic styles, AERIN Beauty's Italian-made travel comb has a slightly curved shape and luxurious polished gold finish. This piece is compact and lightweight, making it perfect for travel. Slip yours into a purse or carry-on.